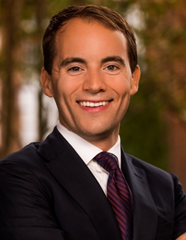 A native of Atlanta, Evan obtained his bachelor’s degree from Georgia College & State University in political science and is currently pursuing his MBA from The University of Georgia. Prior to Chick-fil-A, Evan served in positions at both the State Capitol in Atlanta and in the United States Senate where he served as a senior advisor to statewide elected leaders including Agriculture Commissioner Gary W. Black and U.S. Senator David A. Perdue. Evan is an Eagle Scout, formerly a volunteer firefighter, and is a member Buckhead Church. His personal hobbies include: hiking throughout Georgia, traveling to new places, and running/exercising. 1) Are there any blogs, books, articles, or online forums you recommend reading? “How to Lead When You’re Not In Charge: Leveraging Influence When You Lack Authority” by Clay Scroggins is an incredible read for those serving others. Clay helps readers nurture their vision and cultivate influence, even when you’re not in charge. Position of influence is a much stronger role than position of power. “Heroes Wanted: Why the World Needs You to Live Your Heart Out” by Rodney Bullard, Executive Director of the Chick-fil-A Foundation, reminds us that we are each created with a strength, compassion, and a heroic heart. We have the ability to become a hero through our service to others. Our world needs more heroes and regardless of your position or lack of position, you can be have a positive impact on someone right next to you. 2) Tell us about a mentor who changed your professional life. What was it about this individual that left such a lasting impression? Michael J. Miller, a local attorney in Douglasville, GA and city councilman, served as my first mentor. I didn’t even know what the role of “mentor” meant at 13, but Mike provided me an opportunity to learn from him. We remained friends and mentor/mentee until November 2018, when he passed away suddenly at age 46. His impact on my life forever changed my life’s trajectory. His passing reminded me the importance of not just impacting someone tomorrow, but impacting someone today. “To whom much is given, much is expected.” Mike and so many other mentors invested in me in the past and even today. It’s now up to me to pay it to the next generation of young leadership. 3) How do you describe your role when people ask what you do for a living? If you haven’t been on a tube in a lake or body of water, you might not understand this analogy. Somedays, the role is like riding a tube, tethered to a speedboat that is flying through choppy salt-water spraying in your face. Not only are you trying to hang on, but you are trying to communicate to the boat driver (or your principal) or other “tubers” (or your organizational colleagues) in which way to go and how best to get to your destination. It’s an exhilarating ride! 4) How do you unwind after a long day or week? With so many great streaming content channels (Hulu, Netflix, SHOWTIME, etc.) who doesn’t love a good binge on the latest series?!? !